January 4, 2017 November 21, 2016 / Julie Brook, Esq. “[T]he dates assigned for a trial are firm. All parties and their counsel must regard the date set for trial as certain.” Cal Rules of Ct 3.1332(a). But things come up, and attorneys sometimes need to request a continuance of the trial date. Here’s how it’s done. A party seeking a continuance of a trial date must make a noticed motion or an ex parte application under Cal Rules of Ct 3.1200–3.1207, whether or not the continuance is contested or stipulated to by the parties. Cal Rules of Ct 3.1332(b). Because the need for a continuance is usually due to last-minute developments, there’s often not enough time for a noticed motion; that’s when you need to make an ex parte application. Where do you make your motion or application? 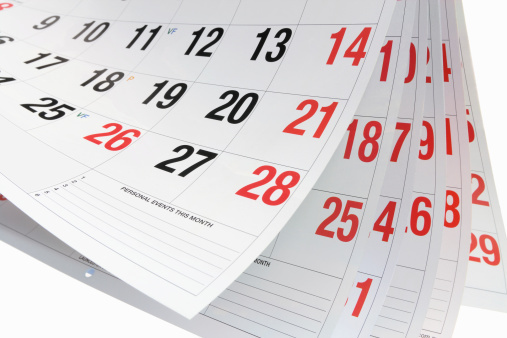 Normally, a trial continuance motion is made in the master calendar department. When cases are assigned to one judge for all purposes under the Trial Court Delay Reduction Act of 1990 (Govt C §§68600–68620), all motions are heard before the assigned judge. When should you make your motion or application? Make your motion or ex parte application “as soon as reasonably practical” after you discover the need for a continuance. Cal Rules of Ct 3.1332(b). What should you include in your motion or application? Include in the moving papers (1) a notice of motion, (2) declarations setting out facts showing due diligence and good cause for the motion (see Cal Rules of Ct 3.1332(b)), (3) a supporting memorandum, and (4) a proposed order that includes the reasons for the continuance. Make sure to include a specific time to which the court should continue the trial; that time must be reasonably related to the ground that’s the basis for the request. What showing do you have to make? Good cause. The primary emphasis should be on the good cause for the continuance, preferably a ground listed in Cal Rules of Ct 3.1332(c). Be specific and detailed in arguing good cause. For example, if a witness is suddenly not available, show why the witness is unavailable, why the witness’ testimony is crucial for a fair trial, and when the witness will be available. Support your position with the best evidence available. For example, when illness is the good cause, obtain a physician’s declaration; don’t rely on a hearsay declaration by an attorney, or even the ill person, that the person is ill.
Due diligence. The court will examine whether you gave notice and made the motion or application as soon as reasonably practical. If the ground for continuance has unforeseeably arisen at the last-minute, you can probably get a continuance, but if you could have acted sooner but waited, the court is more likely to deny it. Be specific and detailed in showing due diligence: Show both why you couldn’t anticipate the ground for continuance and how you were diligent in bringing the matter to court as soon as you discovered the need. Lack of prejudice to opposing party. Anticipate the opposing party’s argument that it will be prejudiced; either anticipatorily refute such claims if possible or consider alternatives to alleviate the prejudice. For more on motions to continue the trial—and how to oppose such motions—turn to CEB’s California Trial Practice: Civil Procedure During Trial §§6.6-6.25. – never request continuance on the morning of trial from the P.J. unless you want to be immediately assigned out to trial to force you into a settlement. – never substitute in as attorney of record on the morning of trial to immediately request a trial continuance. Even if you bring your violin to court with you the P.J. won’t buy it. YES, as soon as you are assigned a trial date, or sooner!